Avira is a Germany-based company offering to take you under its umbrella, when it comes to online security. When you click on the official website of Avira, you will see the installs globally in real time (we checked 327,103,769 and the number is constantly growing). With a free option for those seeking reliable Internet security and with the option of upgrading for getting full tech support and various extra features, Avira is a strong contestant in its field. This is why we have decided to proceed with an extensive Avira Free antivirus review, looking through the overall evaluation of the non-premium usage of this software. As we have stated earlier, there is no complication in setting up Avira on our device. You download it from the website of the company with one click and you follow the steps highlighted to you. In this way, you can have everything ready and going within moments after your first click. However, its interface can be a bit baffling for many users who are not accustomed to figuring out where to head on their own. Other than that, the interface of Avira is neat and includes all the info you need for managing your protection. It is worth noting that there is a quick scan scheduled by default every week. You can change that, of course, as well as set full scans on a regular basis. Of course, in this article we are reviewing the free version of Avira. Still, there is the option for you to upgrade. If you are searching for more sophisticated web protection and faster speed, you can choose among three distinctive suites; the Antivirus Pro will be yours at €23.95 a year, Internet Security Suite is offered at €35.95 per year and the Ultimate Protection Suite is available at €47.95 annually. All these alternatives come with a 30-day trial for free. This is an issue that has raised quite a debate about Avira. It is true that the website provides resources of great value and it is most likely that your question can be answered within the manuals, the videos and the FAQ section available there. However, there are also options for hiring an expert or contacting the company via email or phone. Sadly, these conveniences are only offered to the premium customers. Free subscribers will have to make do with what the website provides. Some features that make a huge difference regarding the protection layering offered by Avira include anti-rootkit, anti-spyware, anti-adware and anti-malware (with the outstanding 99.99% of malware detected, as mentioned), email protection and web protection, real-time protection and Trojan protection, as well as a solid firewall. As you can see, Avira has accomplished to provide a thorough system for protecting your computer or your mobile device on any OS. There is unique compatibility, as far as the devices, OS and platforms supported by Avira. 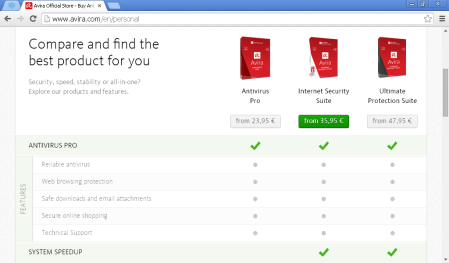 You can get Avira Free antivirus on Windows and Mac, Android and iOS. For mobile devices, there are the respective apps that can be found on Google Play and the App Store. As for the discontinued OS, Avira explains that there is at least 3 years’ notice prior to proceeding with the ending of its support. So, you are well covered in the support product lifecycle! Avira has got what it takes for protecting mobile devices and keeping up with the latest advancements in the OS of both Androids and Apple devices. You are suggested to download the apps from the store that your OS dictates and follow the guidelines. Setting up Avira on your mobile is both simple and effective. There have been no reports so far concerning glitches in the protection level that Avira Free antivirus provides to mobile users. We have reached the end of our in-depth and unbiased Avira Free antivirus review and now it is high time we concluded as to its overall value. As you have read above, this is a reliable system that offers state-of-the-art features and unique compatibility to the users. Although there could be some extra options for free subscribers regarding technical support, the resources found on Avira’s website are quite satisfactory and comprehensive. So, in most of the cases you will be able to resolve your problem, after having read through the manuals or after having watched the videos included online. If you get past the slight difficulties of the interface and the lack of further bonuses that lie among the premium features of the software, you will get to see that Avira is a powerful tool in your hands for effectively securing your computer or your mobile device. 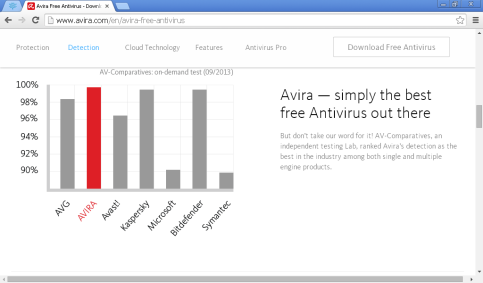 Avira certainly sets the bar high in terms of security against malware and other viruses. Nevertheless, it is displeasing to see that there is no support enabled for free users (besides the tutorials and FAQ section on the official website). If you are looking for trustworthy software that keeps all malware away, without the need to turn to professionals for assistance, this is a great option for you!